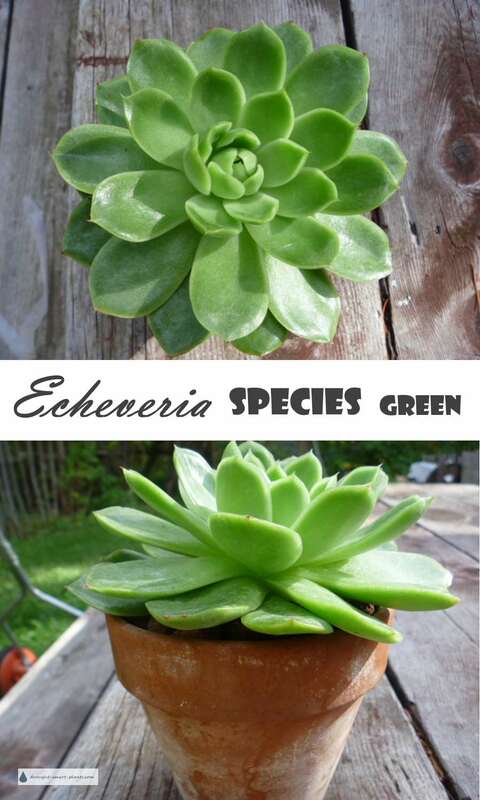 Echeveria species green is a perfectly formed rosette of mid jade green; extremely pretty in combination with other forms of Echeveria and tender succulents, making a great foil for any of the darker purple varieties such as Echeveria ‘Chocolate Ruffles’ and Echeveria defractans x carnicolor. Potted separately in terracotta clay pots or other containers, combined in a mosaic with other forms this one will play up any other colours you can think of. I would also like to see this planted with all the other green types such as Echeveria ‘Harry Watson’, and Echeveria ‘Green Velvet’, along with some Echeveria set-oliver for a monochromatic textural collection. 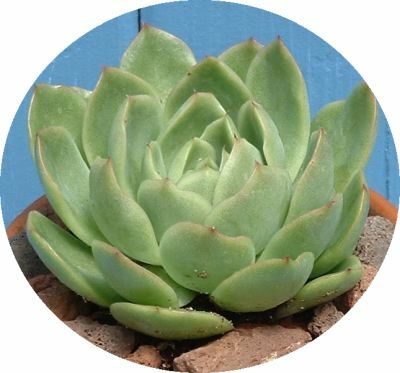 Care is similar as for other Echeveria, allowing soil to dry almost completely between waterings, and much less water in the winter. Bright light as always and no frost exposure.